Combines the fast knockdown of pyrethrin and the residual activity of canola oil. 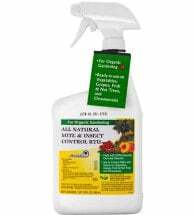 A natural alternative to Dursban, Monterey Take Down Garden Spray works on a large number of insects both indoors and out. 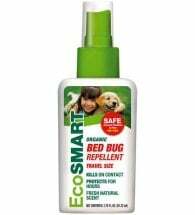 Kills ALL stages of insects, including eggs and breaks down quickly in the environment. May be used on edible crops up to and including day of harvest. Available in a 32 oz ready to use spray bottle (shown) and a 16 oz concentrate. 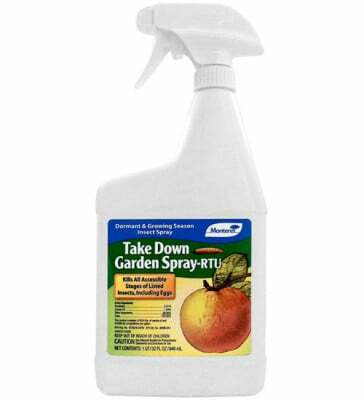 When required, thoroughly spray plants where insect pests are found or hiding. Repeat treatment in 1-2 weeks, if needed. 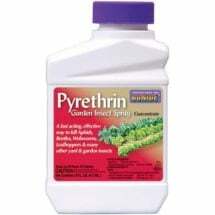 Pint (16 oz) concentrate makes up to 12 gallons of spray. Mix 2 – 5 Tbsp. Take Down Garden Spray per gallon of water.